Looks like prices will be going up for the super guru services! The Facebook pump job and front running the scumbag super gurus did (did they ever disclose that they owned it in the private third party market?) is not working as planned so expect the fees for the sub par services to be yanked up so they can continue to afford to go on vacation every week, spend 400 on dinner 3 times a week (250 the other 4, they take it easy then) and keep their posse of lawyers and "domestics" as they call them well stocked. They will never quit, they will just keep raising prices! Nice job with the front running! How's that FB coming into a buy zone working out for these scumbags? Will the loser pump and dump scam artists ever admit they are wrong about Facebook? These are criminal scumbags that own the stock from pre-ipo prices, are using their relationships with customers and their clients to create a buying frenzy to sell their shares into it. REFUSE TO BE A VICTIM ANY LONGER! The filthbag super gurus are at it again. No sooner did they lie about their track record from their last event they are now bringing more sheep to slaughter (must have been a tough week at the track) and trying to run yet another confidence game on them. It's real convenient that they are pumping and dumping Facebook since they own it from the private market (although they will never tell you they do) and now they are trying to get as many suckers (dont be one) to boost the price so they can milk the profits out. REFUSE TO BE A VICTIM! Funny, these same lying, flea ridden foul breathed cretins are so adamant about how investing is for losers, yet they invest in this? Nice job you hypocritical nitwits! This sums it up for the big bad Super Gurus and their Facebook hype! Follow the Super Gurus and Get DESTROYED! The super hype wins, ummmm loses again! Follow these filth bags at your own risk! Will they apologize for being so wrong? NEVER! The excuses will be out in force how "you need to have a big account" and "you need to risk more than usual on days like this"
They never follow their own rules. They are gamblers using YOUR money to feed their habit. Find those that don't super hype and full disclose all holdings, even those bough tin the secondary (private) market. Friday is super guru day! FB ipo gets to be front run and super hyped by the scumbags that act like they help people. make sure if you are following these scam artists that they fully disclose all holding including shares that were bough tin the private market. Before following any hyped trades of their find out how many shares they own and when they are going to be selling it. I got some great responses form some people including those that weren't going to fall for the old guarantee trick again. When you front run and pump and dump, you are always profitable, but your followers aren't. Duh! They stink but luckily the sheep are abandoning them faster than they can spend their money. Get ready for the super guru Facebook hype and front running! Facebook is set to start trading on Friday. BE VERY CAREFUL following super gurus into trading the BRAND NEW IPO that day. They will not disclose their private, secondary market holdings (which is a violation in and of itself since they will be pumping so they can dump (eventually)) and its highly unlikely you can afford to take the chances that these filthbags do. They use subscriber money (I'm sure they are cleaning out the accounts as they always do when they go bust and need to reload because despite their lies, they have been stinking up their subscribers accounts as of late) and don't care if they blow up, because they will just reload the next time with more money gotten from their scams. They won;t use proper money management, and just make excuses about why they didn't (my favorite is "You have to have a big account" yet never a disclosure about that when they are trying to sign you up} it. They will say that you "should have" made money even though the losers will easily outweigh the winners that they call, and never honor any promises or guarantees they make. Be very careful when they tell you how great they think a trade is, it likely means they are already positioned ahead of time. Funny, these same scumbags love to slam Jim Cramer. Say what you want about him, but he does not make trades in the stocks he calls for a set period of time that's fully disclosed. Do you think it's legal to front run a stock just because you gave a warning that you are going to? That's more like premeditated front running! They are complete and utter slimeballs, and with the way the FTC and SEC are cracking down on these cretins, it won't be long now before they get what they so desperately deserve.They will take to the defense : "WE HELP PEOPLE!" and write big checks to their posse of lawyers to help get them out of another boo boo until the insurance check comes in. JUST SAY NO TO SUPER GURU SCUMBAGS AND SCAM ARTISTS! If you have been front run, pumped and dumped, bait and switched, thrown into continuity programs (this is where they charge your credit card endlessly with no way to cancel) contact the FTC, SEC, and your state Attorney General RIGHT AWAY and they can help you recover funds plus damages. 40 million dollar fine from the FTC for deceiving people via ads, yet some of these scumbag super gurus are allowed to deceive people for over a decade with unbalanced claims, stating how much they made never what they lost, and that it's "easy" to do. Where is the Justice for those scammed by these super gurus and their henchmen? This is just scary, but is rampant in the stock trading services industry as well. These criminals give away a free book, DVD or both where they smash you over the head for shipping and handling (that winds up paying for the product and the shipping) then upsell you on the rush delivery (same processing and speed just a scam and free money for the criminals). From there, they offer you a deal on some recurring charge service that is next to impossible to cancel. then, they give your name and phone number out to a den of thieves out west that call and abuse you with guilt and shame in order to con you into buying overinflated coaching taught by 10/hour script readers. The person that gives your name out disavows any knowledge of doing so, although they are mentioned by the hard selling scumbags over and over again. They just sit there screeching WE HELP PEOPLE! When its there time to face the judge, I wonder if they will use that as their defense. I understand that this is a business. I'm IN the business, and I know that a business's goal is to make more money then they spend. To me, it is NOT about trying to scam people by bragging only about winning trades, or periods where you do well, which is in the minority for these filthbags. Usually they are blowing up their accounts with countless margin calls, and using subscriber's money to refuel their habit. Here's an idea: be transparent. These scumbags can never be transparent because you will see how awful they are. they promise audited records, but you will NEVER EVER see them. They will just make excuse after excuse as to why YOU didn't make money, not why their calls sucked hard and drove you to take a second mortgage or max out your credit cards. But hey, don't get me started! I think it's fine with a free report or product as a lead generation tool, its called an "ethical bribe". It should be a DIGITAL download and not require a credit card to get it, even if that credit card is just for shipping and handling. I think it's fine to offer a purchase after a free download if the value is there. Something like a DVD or a set of reports, as long as it has real absolute VALUE. Not a second rate service because the main super guru is off spending their subscribers money finding themselves (again). I'm also fine with a free trial that CLEARLY discloses that if you want to continue you will be billed a monthly fee, not hidden in the fine print. There should be a clear way to cancel, not phone numbers to nowhere, or limited office hours. Anyway, your feedback is always welcome. When I went to sleep last night (and it was a rare occurrence that it was actually last night) the S&P Futures were down 14 points. As I type this, they are only down 3. So much for a big gap down to start the day. 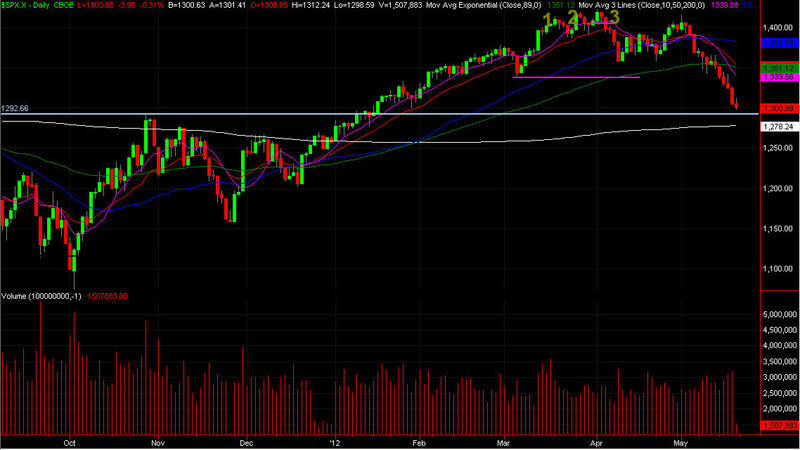 From here, I'm watching for a gap fill, but we may get that before the open at this rate. 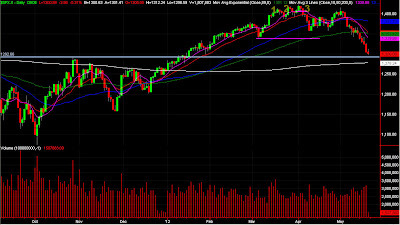 Without a gap of at least 4 points basis the S&P futures, it keeps me on the sidelines at least early. I'll watch for the first pattern of the morning to key off. They haven't gotten the biggest THIEF on the internet yet but he's still up to his old tricks with forced continuity that is shrouded with free trial offers and impossible to cancel services. This is step 1, step 2 will be those same scumbags that give information to their den of thieves out west to up hard and humiliate sell people on overpriced coaching where people are promised one on one attention but are all thrown in together like a herd of cattle to give general, I can find it on the internet for free style coaching. To be clear, I'm fine with continuity, it's easier for both the consumer and the service provider. Everything has to be disclosed in plain, easy to read language, not hidden in the fine print, which the scam artists love to do, and they will never learn. They've stolen enough money to pay for the lawyers and the fines, so in the end, its a wash or they may still come out a bit ahead.